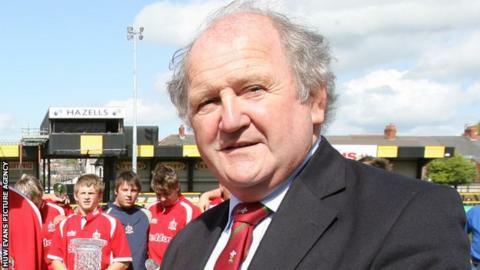 Alan Jones has been appointed vice-chairman of the Welsh Rugby Union board, replacing Ken Hewitt who has stood down after 11 years. Anthony Buchanan takes over Jones' role as chairman of the Rugby Committee, with Anthony John as deputy chairman. David Young is the new chairman of the Regulatory Committee, while Brian Fowler is the deputy chairman. "These are exciting times for Welsh rugby and I look forward with relish to the challenges ahead," said Jones. "I am extremely grateful to my fellow directors for their support and promise to do my utmost to fulfil the role to the best of my ability and thus repay their confidence in me." Jones is a former captain and current secretary and life member of Bryncoch Rugby Club. He joined the board in 2003 and also sits on the Regulatory Committee and the Appointments and Remuneration Panel. Other posts include newly elected board members Ian Jeffery, as a District A representative, Gwyn Bowden (District B) and Robert Butcher (District C), with Mal Beynon, Russell Howell and Humphrey Evans the outgoing members in the respective districts who leave the board.